A favorite of the liquor connoisseurs, Vodka is one of the classiest spirits around. The entire world would stay forever indebted to Russia for introducing this elegant drink to mankind. Whether you want to have it neat or wish to spice it up for cocktails- Vodka promises equally elevated pleasure in every case. It’s a top-shelf spirit no doubt and there are some vodka brands famous for their truly expensive collections – both in terms of price tag and the rich spirited feel. Are you too an ardent fan of vodka and have a nose for the most premium collections? Well, here is a list of most expensive vodka brands. 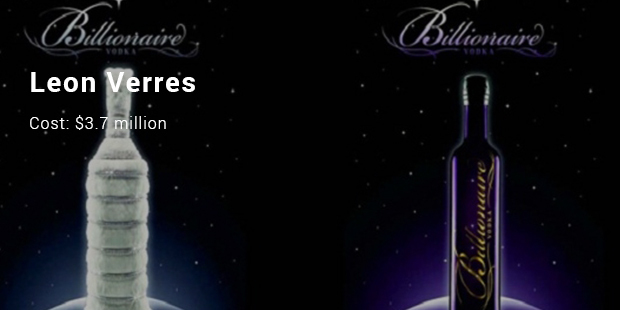 Leon Verres is presently the brand with the most expensive vodka bottle, rightly entitled as Billionaire Vodka. The luxury designer label has come up with an opulent bottle this time which studded with more than 3,000 diamonds. Swarovski crystals have been generously used as well to deck up the luxury bottle. 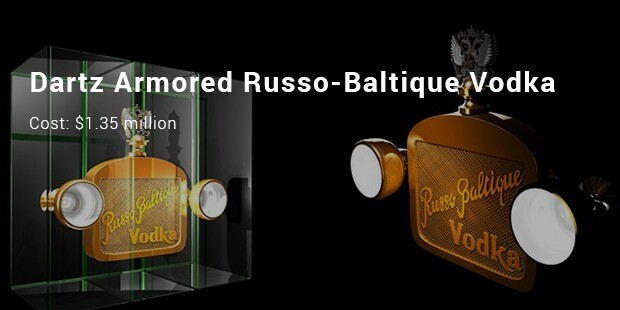 A lot of vodka connoisseurs swear by Dartz Armored’s Russo Baltique and the hefty price tag commanded by the brand has been happily overlooked by its long range of loyal fans- given the premium experience the label offers through its exquisite vodka delights. It’s most famous release comes cased in gold flask which has been made with coins from the era of the great Russian revolution. 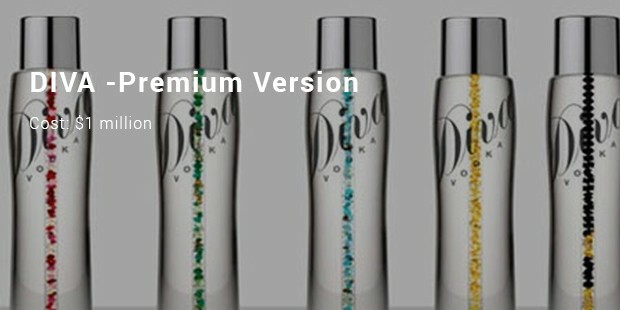 One of the most iconic names when it comes to premier vodka brands, Diva is famous for its triple refined premium vodka. The brand deploys a very meticulous distilling procedure where the spirit is distilled through some really precious stones and filtered via Nordic birch (imported) charcoal & polished-diamond sand. 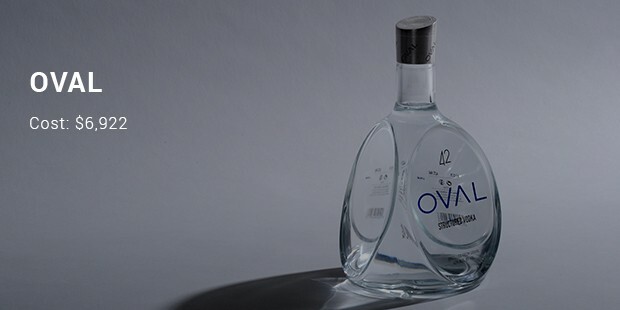 Oval Vodka is the most exclusive brand worldwide and is known for its quality and design. It has got some good ingredients that make it the perfect vodka to have. It is free from impurities and incomparably mild, this vodka provides singular, harmonious taste experience and is the legend already. Quality is what makes this vodka the best drink to have. This drink focuses on very essence of the word quality and is what it makes the best one. The crystal- embelli shed bottle look makes it look classy. This is still the best and expensive vodka of all time. 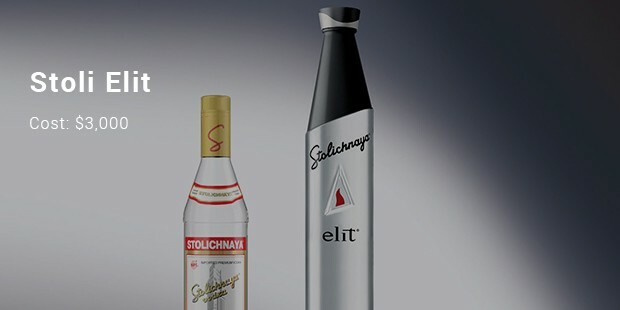 This Russian vodka from Stolichnaya is highly recommended and expensive one. 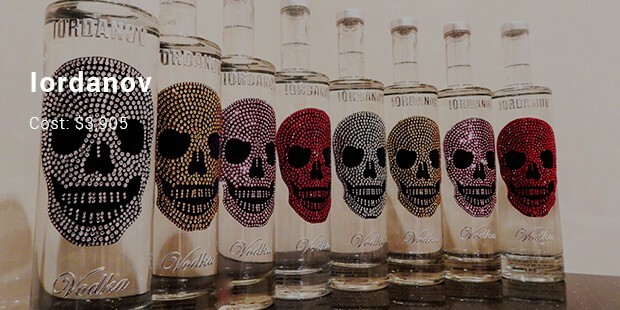 This brand is the combination of art, fashion and vodka. The brand has created unique product appealing to the senses with tactile, crystal-encrusted bottles. This is the most expensive vodka and still remains the same. This line of alcohol is produced in several varieties and can be consumed in neat way. This vodka line consists of three cognac-based liqueurs, two vodka- based liqueurs and two grades. 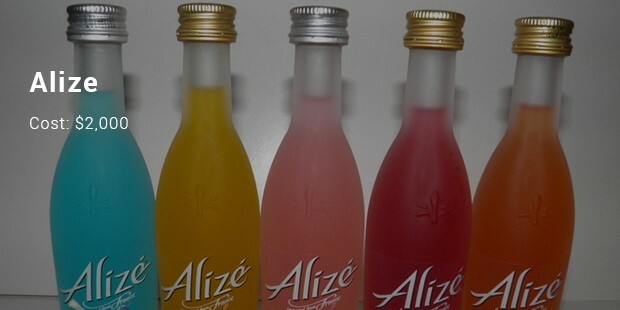 Alize Gold Passion; Red Passion and Wild Passion are three important lines of alcohol. Vodka is meant for those with a taste for the finer things of life and hence the premium price tag cannot be a hindrance here. These expensive brands might not be your regular choice for weekend night-outs but would surely be the coveted pick for the most special celebrations of your life.